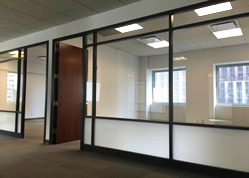 City Hall Office for Lease | Broadway - $50 / 2900 SF. This 2900 SF. office is located on in Manhattan's City Hall neighborhood. This new pre-built unit was recently upgraded with the essentials all being renovated - mainly new carpets and paint. 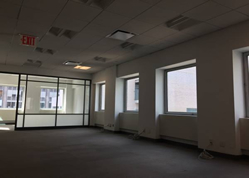 Big operable windows provide natural light with amazing views and allows for fresh air to waft in while also benefiting from being situated on a high floor the as this cuts down on the street noise below. 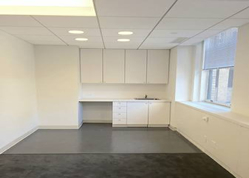 Furthermore this listed office offers a newly installed central HVAC 3-ton Unit. Furniture can be available upon tenants request at a discounted price. 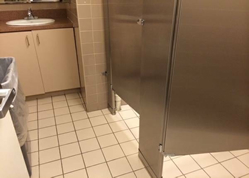 Floor Restrooms were recently renovated and a kitchen area was installed. 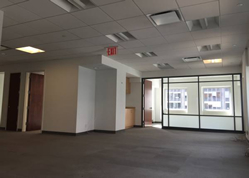 This commercial space stands in mint move in condition. The Landlord is looking to lease this space immediately. The terms are highly negotiable and flexible > in all a good deal just awaiting the right tenant.